C & B Wichita has been a Gardner Denver Positive Displacement Blower Distributor for 30 years in the Kansas & Western Missouri area. A worldwide industrial manufacturer and leader in the positive displacement blower industry, Gardner Denver offers several product lines to fit most low pressure and vacuum applications including: Sutorbilt, Duroflow, CycloBlower, Triflow, and Heliflow. The Gardner Denver tradition of quality, service, and engineering has made them who they are today. Here at C & B Wichita, we believe in the products we sell and are confident in the products that Gardner Denver produces. With factory support just miles away at Sedalia, Missouri, we have a major advantage over other blower distributors. Let us know what your application is and we’ll find the best fit for your facility. 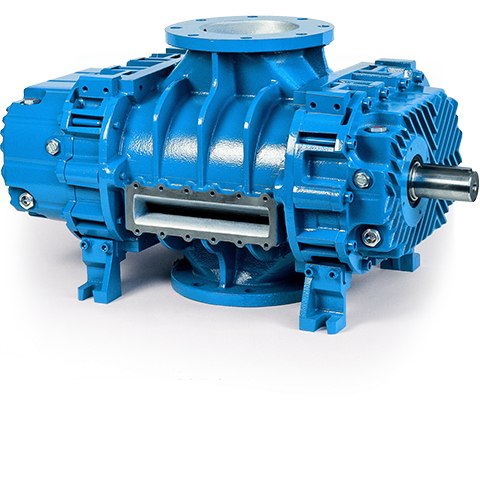 In many cases, there is more than one blower that will fit the design parameters, which gives the customer choices in terms of price, efficiency and design of the blower. You can also get a jumpstart on your blower selection with the Gardner Denver sizing program, QuickPik. Once registered (on the Gardner Denver website), QuickPik allows users to size their next blower application to determine the best blower for the job.